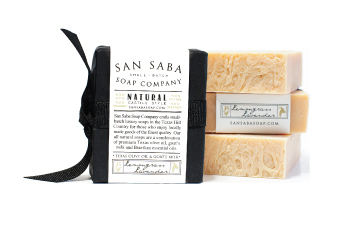 Lemongrass + Lavender Mild Body Bar - San Saba Soap Co.
View cart “Brown Sugar + Texas Fig Bar” has been added to your cart. 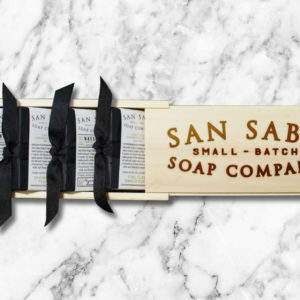 Our popular body bar is richly lathering with the calming yet refreshing scents of Lemongrass and Lavender. 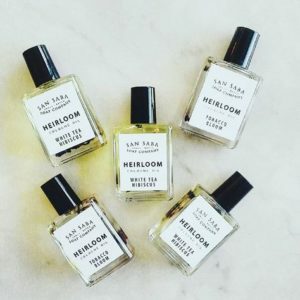 Made with 100% premium Texas olive oil with added goat’s milk, this delicate natural fragrance is perfect by the sink or the bathtub. 1 Bar; 4.5 to 4.7oz. Our popular body bar is richly lathering with the calming yet refreshing scents of Lemongrass and Lavender. 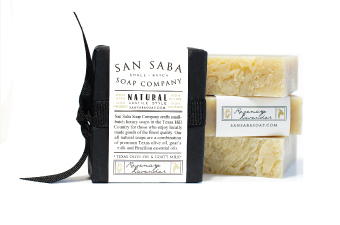 Made with 100% premium Texas olive oil with added goat’s milk, this delicate natural fragrance is perfect by the sink or the bathtub. 1 Bar; 5oz.